For my very first post to Pixel Shift 2.0, I thought I'd start with something relatively simple. With the upcoming release of Android O, Google is introducing adaptive icons. 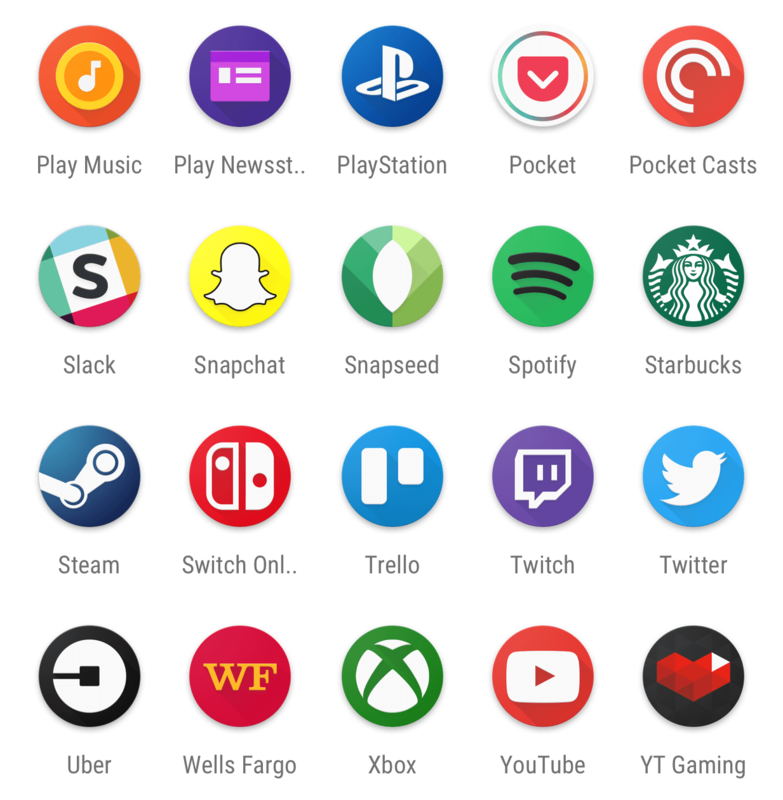 It's a new format for designing launcher icons that are then masked to a consistent shape (provided by the OEM). 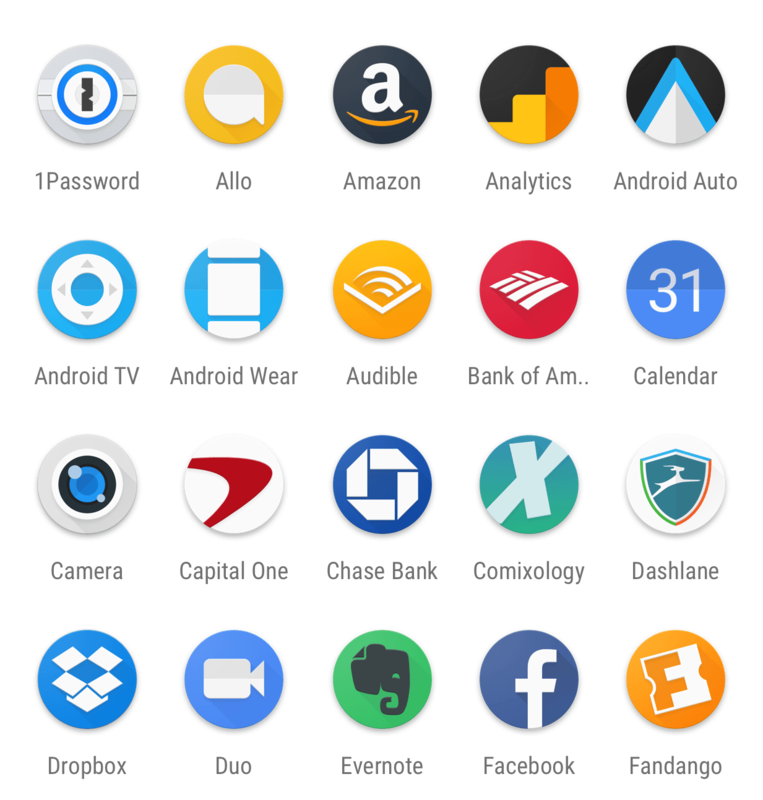 Each icon is also made up of two layers, which opens up the opportunity to animate the icons in interesting ways (though we've yet to see this implemented in any of the Android O betas so far). Since the announcement of adaptive icons back in March of this year, many have wondered what they would look like if every app adopted the new standard. Unfortunately, developers are notoriously slow to update their apps. Even Google itself hasn't been very good about following their own guidelines (I'm sure any Pixel owner will attest to the icon hell we've been stuck in this whole past year). Combined with my own curiosity and impatience, I decided to design some myself. I posted a small sampling a few weeks ago and the response was incredible. So I thought, why not take it further? 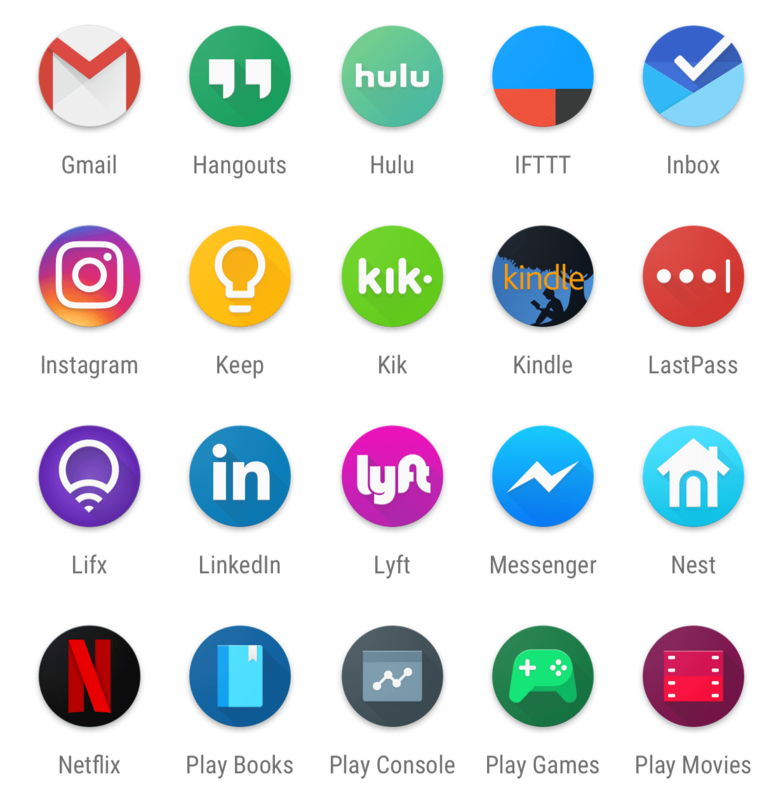 To that end, I got to work designing adaptive icons for a large majority of the most popular apps. Now, I'm ready to share my work—a total of 60 adaptive icons designed as closely to the Material spec as possible while still adhering the branding of each app/service. Take a gander! Remember, adaptive icons can also be animated in cool ways. In case you're curious what these might look like in motion, I've also gone ahead and setup all of the above icons using this awesome tool created by Marius Claret. So go ahead and try a few! Now that you've had a chance to see and play with several examples, I'd love to get your feedback. Not just of my own work, but of the new format as a whole. Do you think they'll improve the look and feel of Android? Do the uniform shapes make it more difficult to quickly scan through a list of apps? If you're a designer, is consistency over flexibility worth the trade off? Let me know! If you like my work, feel free to connect with me on Google+, Twitter, or Dribbble!